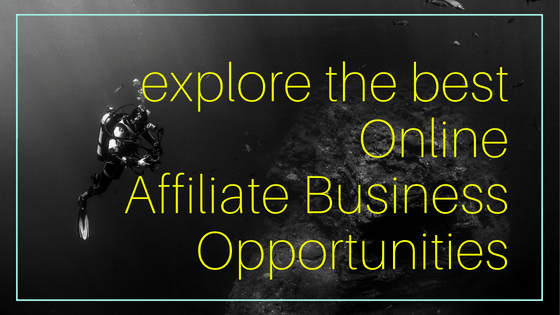 When it comes to online affiliate business opportunities, many of us are reluctant. And unsure if our investment of either time or money in that particular business will pay off. 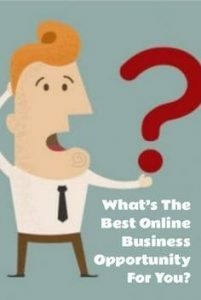 So how do you know what online affiliate business opportunities are legit and will pay off in the long run? So why do I recommend online marketing softwares as the top affiliate business opportunities? Well, the answer is quite simple. It is one of the most sustainable niches online. Why? Because literally every online business can benefit from using these platforms. In fact, the most successful businesses online use this type of software to maximize their conversions, sales and overall revenues. Therefore, it’s a no-brainer to become an affiliate of such a software. The offers typically provide the affiliate with pre-made sales copy, landing pages, etc. No person can tell you what online affiliate business opportunities are going to be the best for YOU. We can provide information on each opportunity and show the pros and cons of each. However, it is typically up to the entrepreneur (that’s you) to decide what business you will be most passionate to promote. And while I am not opposed to someone signing up for all opportunities to see what each is about, my best advice is to PICK ONE & STICK WITH IT. This goes for basically any business that you create. Real world, or Online. Once you decide a certain affiliate business opportunity is the right one for you, don’t get distracted and stick to it. Many of the most lucrative offers such as Builderall and ClickFunnels (who pay recurring commissions), take time to build up your user-base and many affiliates get discouraged by this. If you’re just starting out and need some guidance, join my Affiliate Success Club group – all active users receive FREE ACCESS to my online affiliate business training.